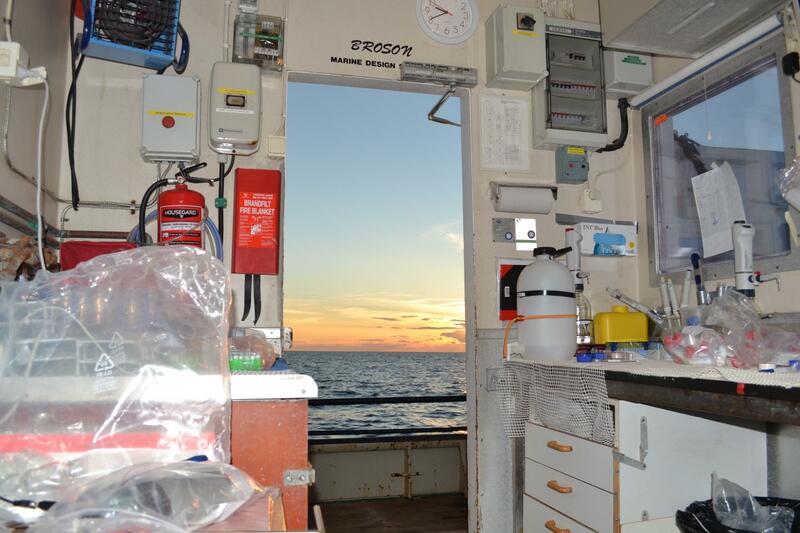 –	In The Baltic Ocean we discovered microbes that share a meal, which neither could efficiently eat alone. They establish their odd interaction by transferring electricity from one species to another via conductive particles. So they use the conductive particles to interact electrically with each other and outcompete anyone else that might be enticed by the same food source, explains lead author Amelia-Elena Rotaru from University of Southern Denmark. This rather bizarre electric relationship via conductive particles is not only a biological curiosity – it also prompts the production of methane, which is a potent greenhouse gas. Not only do the two studied bacteria species benefit from this collaboration – they also manage to keep other microbes (Methanothrix) attempting to compete for the same resources away. "This was the first time we could scientifically document a conductive particle based associations between bacteria and methanogens from environmental samples. We are now finding similar trends in other aquatic environments such as oceanic oxygen minimum zone, or lake sediments", said the lead author. – If we can find a way to use the electric properties of microbes to store carbon and electricity while producing biodegradable and safe materials similar to those made today from fossil fuels we would have achieved our ultimate goal to foster a sustainable society, said Amelia-Elena Rotary.